On August 27th, 1943, the sloop HMS Egret was lost in the Bay of Biscay. By itself, this wasn't of particular note, as the Biscay campaign was hard on the ships that fought it. But she was sunk by a new type of weapon, one that would ultimately change the face of naval warfare. The early years of WWII had seen a sort of impasse develop between ships and the aircraft that tried to sink them. If the aircraft bombed from high level, it was essentially immune to defensive fire, but the moving ship was far too difficult a target to be worth going after. If it approached at low level, it might hit, but it also gave the ship a chance to hit back. This went double for torpedo bombers, which had to attack at such low level that they were vulnerable to even small-arms fire. Dive bombers had found a way to at least partially resolve this problem, but that was restricted to comparatively small aircraft, which did not have the range to operate far from shore. The Germans, driven from the surface of the sea and hunted intensively below it, needed some way to challenge Allied control of the waves from the air without sacrificing too many planes from the dwindling Luftwaffe. To do this, they turned to a new technology, radio-command guidance. Two weapons were developed around the same basic command system, intended to deal with different kinds of targets. The first, which had sunk Egret, was known as the Hs 293. It was a genuine guided missile, propelled at the start of its flight by a rocket motor slung beneath the fuselage and equipped with wings to allow it to glide long distances. From low altitude, the carrier, usually a Dornier Do 217 bomber, could stand off about 6 nautical miles, rising to 10 at higher altitude. The rocket-assisted glide could reach terminal speeds close to 500 kts, making it very difficult, thought not impossible to shoot down. The 650 lb warhead was optimized for unarmored targets, like merchant ships, destroyers, and other escorts. The second weapon, Fritz-X, was intended to kill armored targets, most notably battleships. It was propelled purely by gravity, and fell close to vertically, unlike the Hs 293. This was necessary because of the nature of the targets. Massively-built ships were best sunk by an explosion near the bottom, which required a projectile to pierce their armor and reach into the bowels of the ship. A mostly-ballistic weapon would be much faster than a glide bomb, as well as being sure to hit the deck at an angle that took it deep into the ship, instead of hitting the side or missing the underwater portions of the ship altogether. The 3,000 lb weapon could pierce the deck of any battleship afloat when falling at its terminal velocity of 850 ft/sec, and the 700 lb explosive charge would grievously wound the target. Worse, although the Do 217 launching it was probably at 20,000 ft, the bomb itself usually struck within 16 ft of the target. 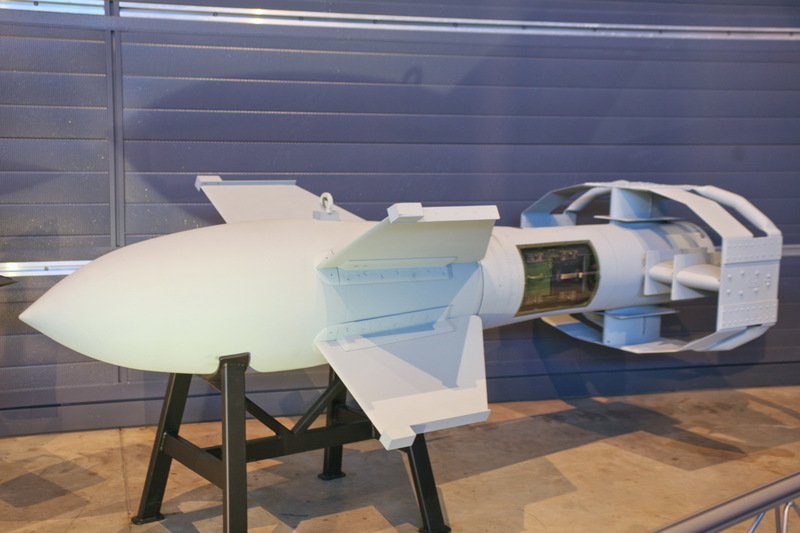 Both of these bombs used the same control system, known as Kehl-Strasbourg. The operator used a joystick aboard the launching aircraft to send commands out from the transmitter. Each direction (up, down, left, and right) was a separate frequency, offset slightly from the base frequency in use by the system. 18 different base frequencies in the range 48.2 MHz to 49.9 MHz were supported by the Kehl-Strasbourg, so that multiple aircraft could use the system at the same time, without interfering with one another. The receiver system simply tripped a relay when the proper frequency was picked up, and the ailerons on the Hs 293 and both axes of the Fritz X used "bang-bang" control, where the signal would move the servo to the full limit of its travel. This meant that the weapon tended to move towards the target in wide curves. The elevator on the Hs 293 was somewhat more sophisticated, allowing the operator more precise control over the glide angle of the weapon. There were a number of drawbacks to the system. Because it relied on manual guidance, an operator needed to be experienced to have a good chance of hitting. More than that, the weapon needed to remain near the line of sight from the operator to the target, which limited the ability of the pilot to evade enemy fighters or flack. Bad weather, particularly low clouds, would also thwart efforts to use the weapons, although the Fritz X was much more dependent on high cloud ceilings. The Kehl-Strasbourg was vulnerable to moisture, particularly during long-duration high-altitude missions. All of the carrier aircraft had to be fitted with special heaters, which limited the number of platforms that could launch the weapons. Most common was the Do 217 bomber, a variant of the famous Do 17. 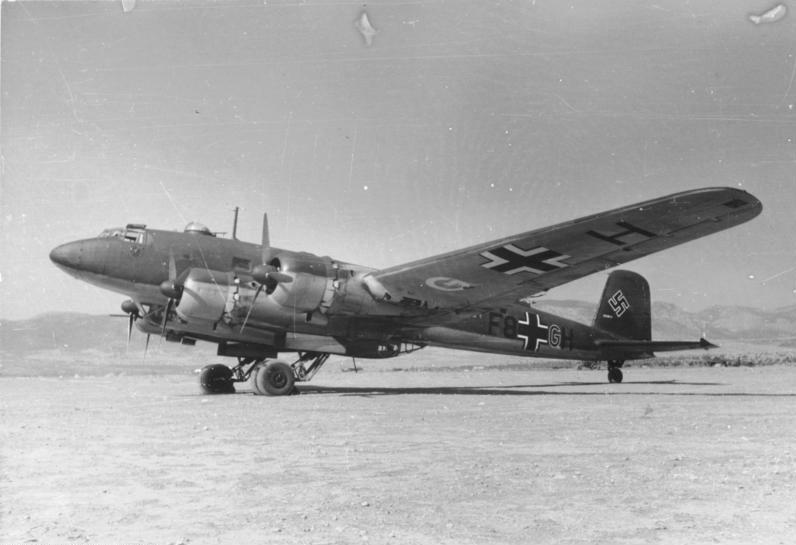 The Germans' major attempt at a heavy bomber, the unusual Heinkel He 177 was also armed with the weapon, although the problems with the aircraft meant that the Do 217 was the main platform. 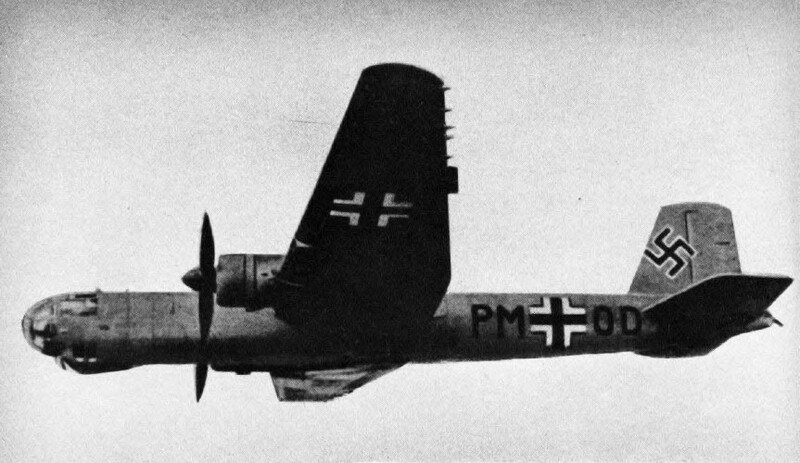 The Fw 200 Condor was also armed with the Hs 293, but only flew a few unsuccessful missions. 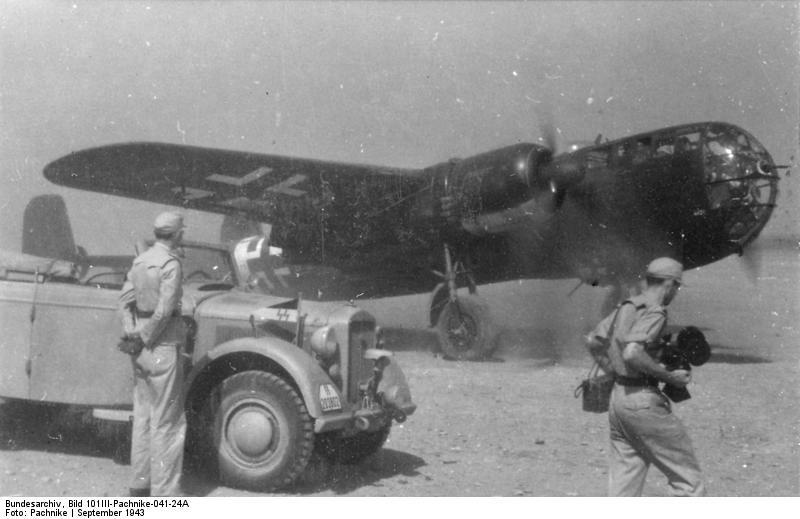 Unfortunately, the increasing strains of land campaigns on two fronts and the need for fighters to defend the Reich diverted aircraft production, and only a limited number of aircraft were available for the role. Initially, the plan was to use the Hs 293 to replace the U-boats, recently driven from the North Atlantic, in the war against the convoys, but this plan had to be put on hold due to problems with the long-range He 177. 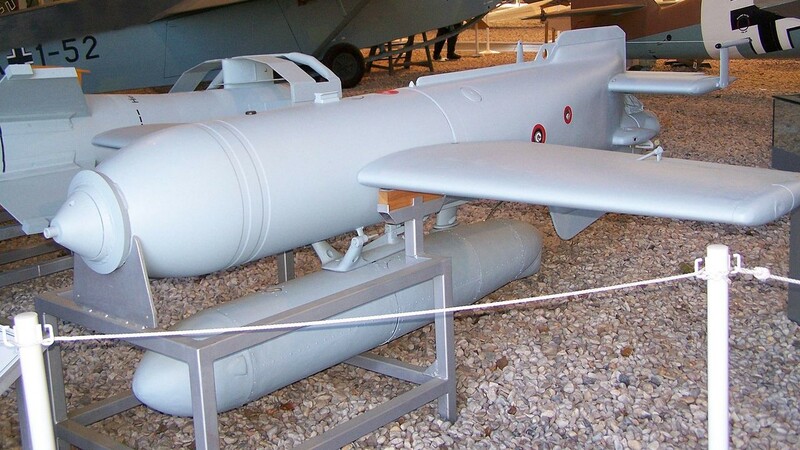 Another scheme to use the bombs against targets on the Eastern Front was scrapped for security reasons, limiting their use to the Mediterranean, where the Do 217s could reach. Even better, the Allies had just launched the invasion of Salerno, which provided a splendid set of targets. Next time, we'll examine the first use of Fritz-X on targets resulting from that invasion. "Unfortunately, the increasing strains of land campaigns on two fronts and the need for fighters to defend the Reich diverted aircraft production, and only a limited number of aircraft were available for the role." Use of the word "unfortunately" there is an ... unusual... choice. I think my anti-Nazi credentials are pretty well established by now. I was looking at it from a systems point of view, because this is interesting stuff.